Easy to drive and refined. Very well built. Five-year warranty as standard. Neat and tidy styling. Decent room in the back seat. Good economy from entry-level 1.2-litre. Lacks character. Base models feel a little sparse and cheap inside. Seats lack long-distance comfort. 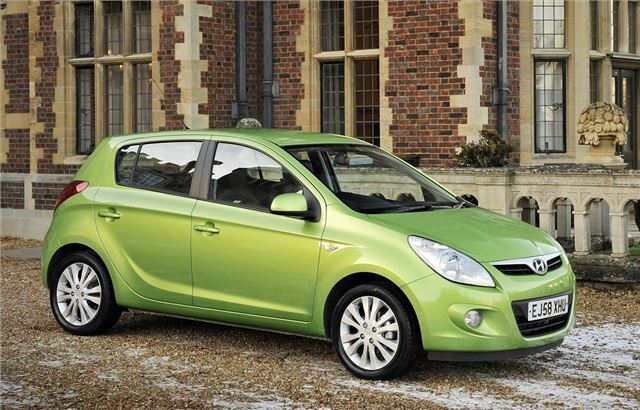 Report of clutch starting to slip on hills on 2009 Hyundai i20 at 27,000 miles. 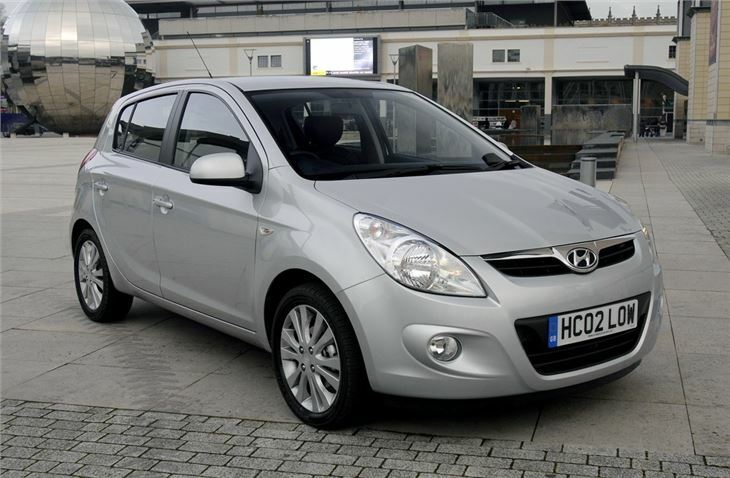 The Hyundai i20 is the replacement for the dated Getz and it's a huge improvement in both quality and design. So much so in fact, the Hyundai i20 is a genuine rival to more established small hatchbacks like the Toyota Yaris and Vauxhall Corsa. It majors on value for money with competitive prices and generous standard equipment levels. The i20 also comes with a five-year warranty as standard, backing up the feeling it has of a very well built and durable car. But this hasn't been at the expense of comfort or interior quality. Inside it's neatly laid out with a comfortable cabin, intuitive controls and a classy steering wheel design. True, some of the cheaper models can feel a little sparse inside (with rather less appealing plastics used) but they still share the same robust feel. Refinement is impressive too and on the move there's little engine or road noise, so motorway cruising is pleasantly stress free. Thanks to neat steering and well set-up suspension, the Hyundai i20 is good to drive, striking an impressive balance between handling and ride comfort. This is backed up by a small but strong choice of engines, with one CRDI diesel and two petrols available. It's actually the entry-level 1.2-litre petrol that is the best choice. It's urgent and revs freely, making it ideal for nipping in and out of city streets plus it's more than happy at motorway speeds. 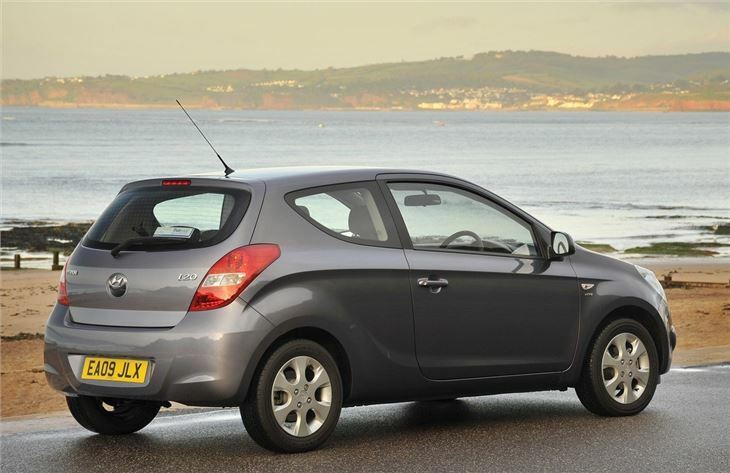 Best of all, it is capable of 54.3mpg and works well with the positive five-speed gearbox. Economical with Diesel but not with Rust...Check those Door Handle Surrounds! Hyundai Rust Bucket - many produced and should all be re-called !!! good honest car, drives like a german car.